A concentrated cleaning solution containing grease and oil emulsifiers and wetting agents. Cartridge Cleaner is designed specifically for removal of oils, grease and soaps restoring the filter to original condition. Cleaning your filter will reduce pump electricity costs and will decrease the potential for bacterial growth. For use with chlorine, bromine, and ozone-based sanitizers. Spray on and rinse off with no soaking required! 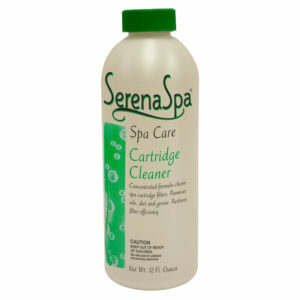 Our Instant Cartridge Cleaner removes scum, oils, minerals and scale from spa cartridges improving filter life and water clarity. 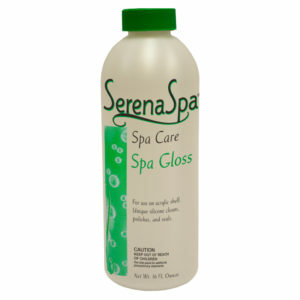 Easy to use with no scrubbing required; this special liquid formula works in minutes so you can continue to enjoy your spa. It is recommended that you use every 4-6 weeks to maintain filter efficiency. Clears spa and jetted bath tub plumbing of organics, oils, dirt, and minerals. Add Jet Line Cleaner before the water is drained to prevent buildup that can restrict water flow and damage equipment. This product is compatible with all sanitizers including chlorine, bromine, ozone and biquanide. The water used to fill your spa may contain high amounts of metal that can stain or discolor your spa’s surface. The presence of minerals can cause oxidizing and scaling on the shell’s surface and erosion of the heater element. 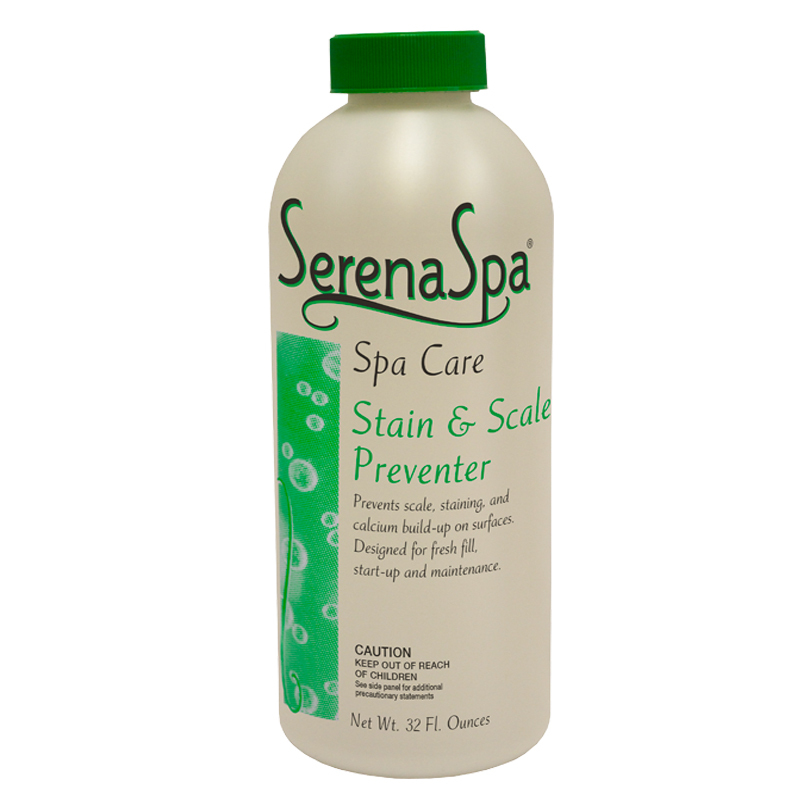 Serena Spa® Stain & Scale Preventer protects your spa from metal and mineral impurities found in spa water by suspending and inhibiting stain and scale causing minerals. On start-up or initial fill, add 16oz. for spas up to 500 gallons. When you add make-up water to your spa you should add a maintenance dose of 1 oz. per 100 gallons of water.